In conversation with Heather Jones, founder and Managing Director of HR specialists Lamont Jones, it quickly becomes obvious that she is a businesswoman that combines a practical, common-sense approach to running her company, with an ambition for growth and long-term success. Soon, Heather was making various commercial decisions as the business grew. From a sole trader came employees, then business premises and finally the big client win that meant a major decision. “As the main fee earner, I needed to be able to say ‘no’ and have the luxury of time and thinking space. But this was going to hit our cashflow.” It also meant further recruitment, particularly to handle a major client. But all of this required funding – about £65,000 according to Heather’s calculations – so, who to turn to? Fate intervened. In particular, Heather chose to use the Intellectual Property (IP) within her business as the asset that would be bought by her pension fund. She had a reasonable awareness of IP before meeting Clifton through her contract work, as well as some understanding of IP valuations. But there was still work to be done. The IP-based, pension-led business funding has allowed Heather to put her growth plan in place and has already employed two extra staff, with three more likely to join Lamont Jones by the end of 2012. 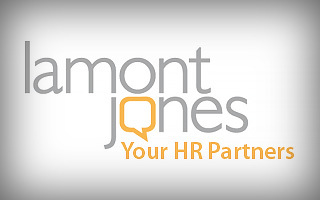 Heather Jones began her own HR business, Lamont Jones, in her back room and with hard work soon built the company up. But a big contract meant an influx of cash was needed. Heather knew that the chance to do HR for a major supplier was too good an opportunity to turn down, but needed around £65k to recruit more staff. Heather chose to use the intellectual property within her business as an asset that would be bought by her pension fund. The IP-based pension-led funding has allowed Heather to put her growth plan in place and she has employed extra staff.